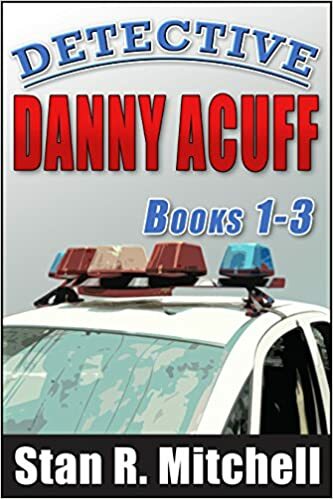 I wanted to let you know that I’ve finished the fourth Detective Danny Acuff serial, and will finish its final edits here in the next several days. I’ll definitely write a post and provide a link to the fourth edition when it gets finished and uploaded on Amazon. I also thought I’d share some of the best tweets I’ve seen on Twitter the past couple of weeks. Hopefully, thees provide you with some motivation and insight! RT @DavidRoads: The smallest act of kindness is worth more than the grandest intention. RT @DavidRoads: Why not go out on a limb? That's where the fruit is. RT @DavidRoads: If you wait until you're ready, you'll be waiting the rest of your life. RT @DavidRoads: Action expresses priorities. RT @DavidRoads: It's okay to cry. Just keep going. RT @LV_Sports: Those at the top of the mountain didn't fall there. RT @Epic_Women: A negative mind will never give you a positive life. RT @DavidRoads: The strongest people are not those who show strength in front of us, but those who win battles we know nothing about. RT @DavidRoads: In daily life we must see that it is not happiness that makes us grateful, but gratefulness that makes us happy. RT @JoelOsteen: Successful people don’t waste their time looking at what others are doing, they’re too busy focusing on their own goals. RT @DavidRoads: If you judge a fish by its ability to climb a tree, it will live it’s whole life believing it is stupid. RT @JoelOsteen: God wants to bless you in such a way that people notice. He wants to show out in your life. Hope these inspire (or inform) you! RT @DavidRoads: Stop cursing the darkness and light some candles.